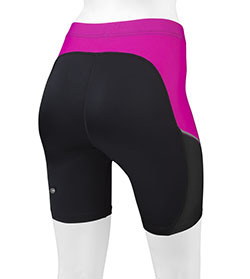 ATD Women's Luna Compression Shorts Great for Recumbent Riders! Attention all recumbent riders! Recline and unwind in style while wearing the Women’s Luna Recumbent Compression Shorts, created and manufactured by Aero Tech Designs! The Luna Recumbent Compression Shorts are the perfect blend of fitness function and fashion flair, using only the highest-quality performance fabrics to offer complete freedom of movement. 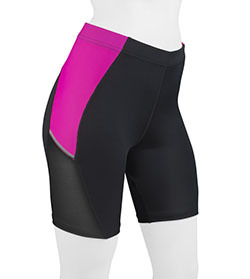 Made with a specialty Nylon/Spandex fabric blend, these recumbent compression shorts will not only stretch to fit around your feminine curves, but will also move with your body in the cycling motion like second skin. No tugging, snagging, or baggy creases! Just smooth sailing on the long road ahead. The Spandex keeps the shorts in place during your bicycle rides while also gently massaging your muscles to keep you riding longer and feeling stronger. 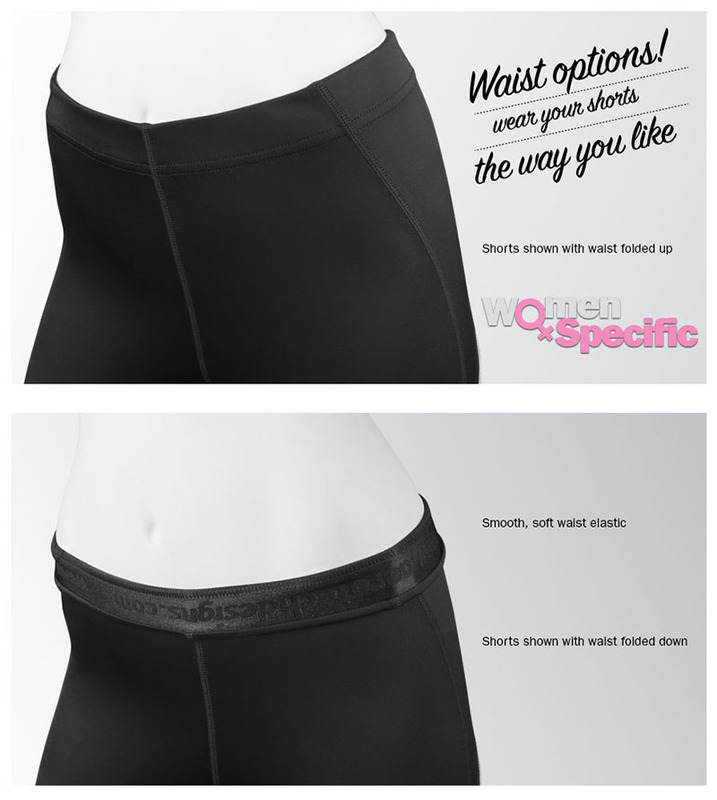 Don’t let the lightweight, feminine appearance of these compression shorts fool you. The nylon fabric is rugged and durable against abrasion, perfect for the avid female recumbent cyclist. 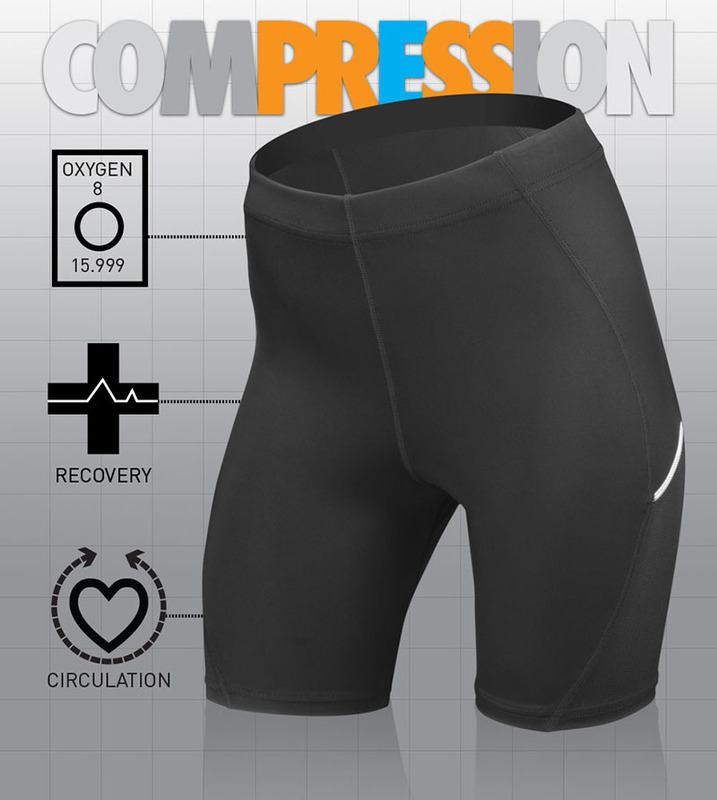 A good compression short should contain a high Spandex blend because it is important for muscle support and maximum stretchability. Spandex delivers a wide range of stretch and recovery power designed to help you move and perform at your best, while feeling comfortable at the same time. The Spandex knitted into the fabric provides high-grade compression and support during intense workouts, such as recumbent cycling or racing. 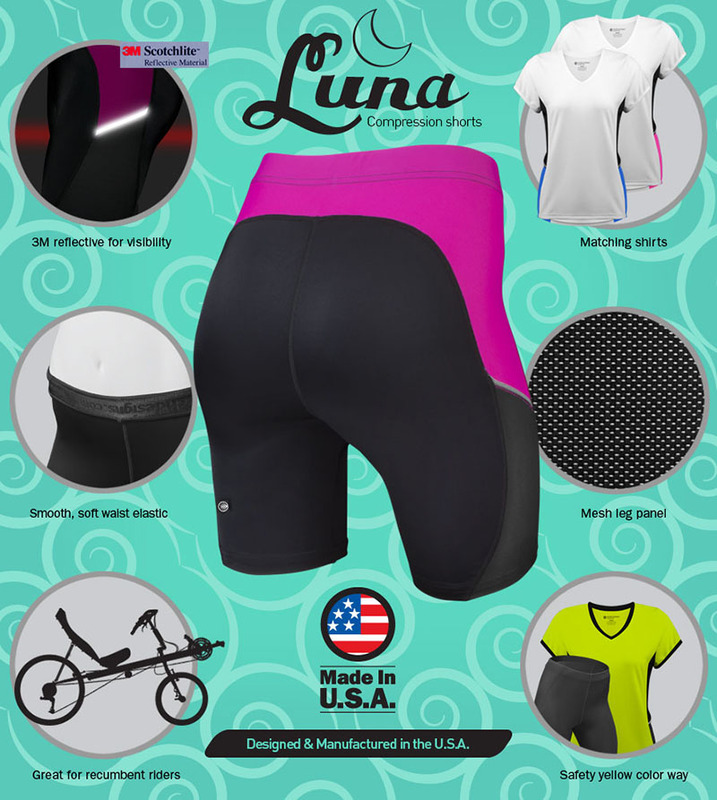 The Luna Recumbent Compression Shorts are the perfect go-to short for recumbent cycling, but since they are unpadded, they also can be used for just about any other sport or fitness activity: yoga, running, Pilates, kickboxing, dance, etc. Take them to the gym to lift weights or do machine work-outs. Go jogging in the park. The possibilities are endless! Each leg features a 3M Scotchlite reflective strip to keep you visible during low-light and nighttime. Mesh panels along the leg keep you dry and cool, making the short breathable during warm weather or intense activities. The waist is high to keep the shorts in place, but can be rolled down to fit your comfort level. A personal touch to make it your own! RECLINE IN STYLE WHERE EVER YOU GO! ATD Women's Luna Compression Short Made in USA!